Drum Majors originated in the late 1600's as a British military position. Drum and Bugle Corps were used as a communication tool during battles. The Drum Majors responsibilities included discipling the members of the corp and defending them during the battles. Boy have things changed. I've had the opportunity to watch this young lady lead the KU Marching band for the last two years. She has total control of the band. 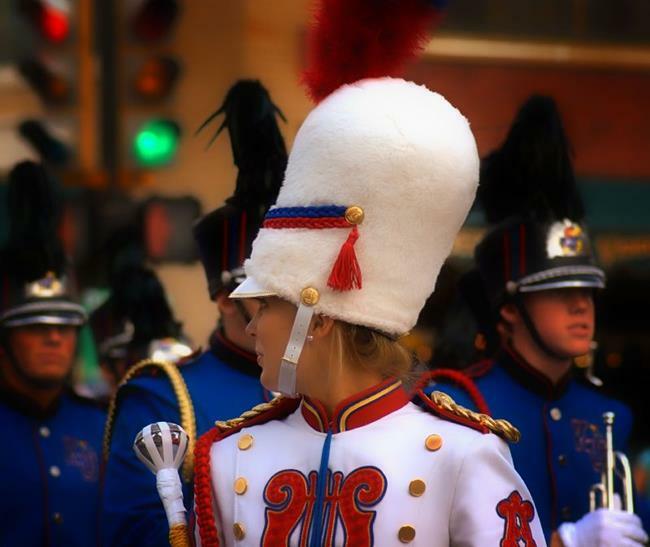 This photo was taken during the KU Band Day Parade in downtown Lawrence Kansas.